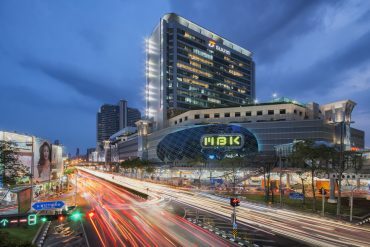 When it came to finding the best cocktail bars in Bangkok, I thought who better to ask for insider tips than a mixologist. Golffy Dhasan Prabhananda is a talented mixologist, bar consultant and brand ambassador who knows exceptional cocktails like the back of his hand. 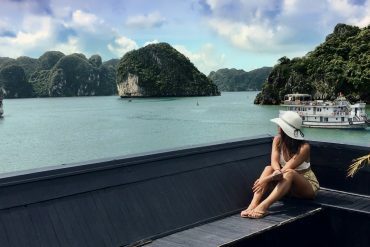 After living in Los Angeles for several years, he’s now a Phuket resident and has been on the Thailand drinking scene for over 8 years. 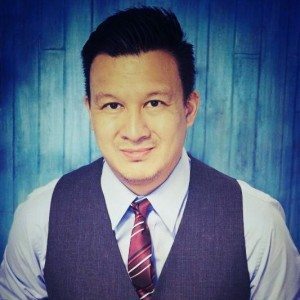 When asked which Bangkok cocktails bars can’t be missed during my visit, he was more than happy to help me discover Bangkok’s hidden and exclusive bars. This obscure hole in the wall has been making waves in the underground Bangkok cocktail scene since its opening in January 2016. In such a short time, Rabbit Hole has already amassed a loyal following of Bangkok’s elite, discretely hidden behind its large wooden door. Rabbit hole turns out a great selection of speciality cocktails while overhead a resident DJ spins pumping house music adding to the dynamic atmosphere. Enjoy your drinks tucked away in a dark corner or at the bar for front row seats to all the cocktail making action. The ground floor is where all the excitement takes place but if you want somewhere a bit more intimate, head up a couple floors. Drink recommendations include the Smoked Peach Old Fashioned. This magical twist on an old classic includes plum bitters and peach liqueur with a smoke infused glass of cinnamon, cardamon and sweet pepper. If you’re a sucker for passionfruit like I am, you’ll love the gin based Madhatter. For those that don’t know their way around Bangkok, Rabbit Hole can be tricky to find and a taxi driver probably won’t be of any assistance. The easiest way is to get dropped off at the Pan Pacific Serviced Suites on Soi Sukhumvit 55, cross the road from the hotel, hang a left for about 3 minutes past a dark alley with some massage parlours, then look for a large wooden door. 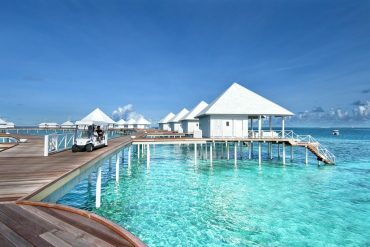 There’s no signage, but you’ve found it! 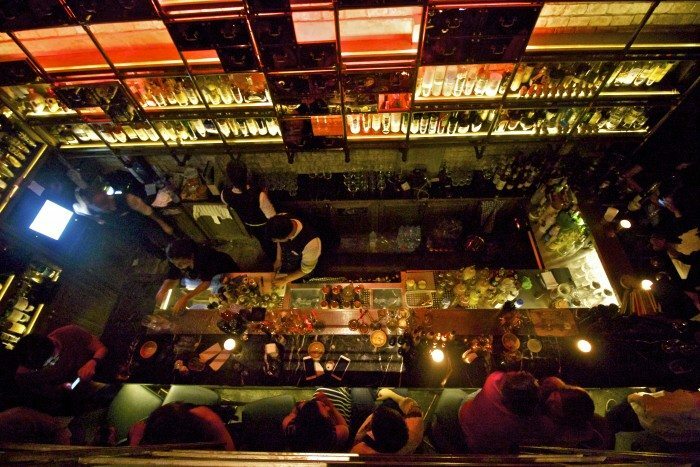 Rabbit Hole, Bangkok– 125 Soi Sukhumvit 55, Thonglor, Bangkok, Thailand, between Soi 5 and 7. Closed on Mondays. Conspicuously hidden behind two large, carved wooden doors, this old shophouse turned funky gin bar does understated in all the right ways. 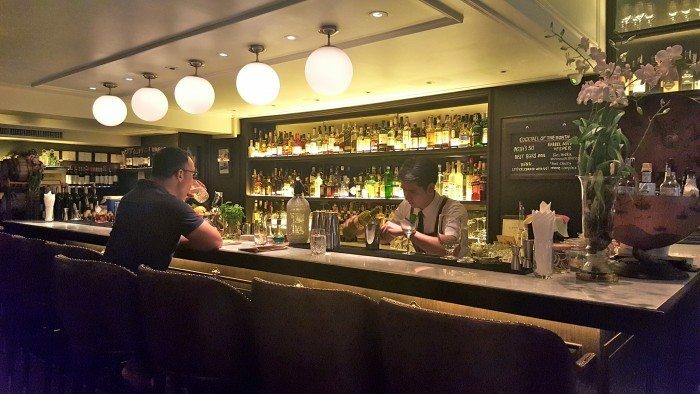 Teens of Thailand didn’t make Asia’s 50 Best Bars 2016 list for no reason, their creative gin concoctions are good enough to make gin lovers weak in the knees. 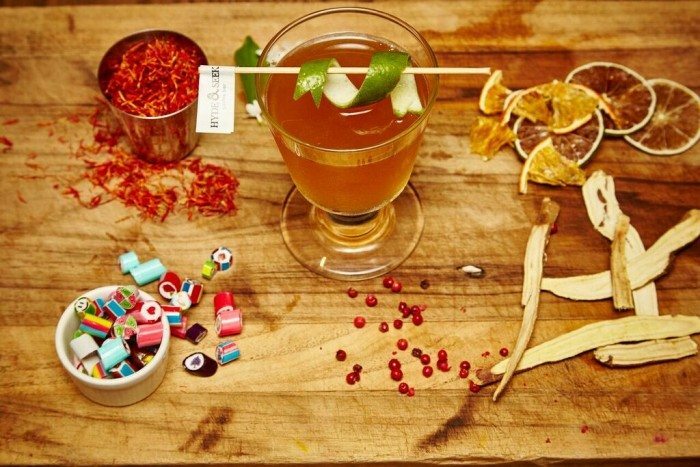 Sip these infused gin cocktails surrounded by sensual photographs hanging on bare walls. Teens of Thailand, Bangkok– 76 Soi Nana, Charoen Krung Rd, Bangkok, Thailand. Closed Mondays and Tuesdays. Don’t be fooled into thinking Vesper is more restaurant than bar, although the food here is top notch as well. Their original take on old classics and one of a kind cocktails sure made an impression, earning them the number 17 spot on Asia’s 50 Best Bars 2016 list and giving them the title of number 1 bar in Thailand. Get expert drink advice from Wareewan and let her create you one of their award winning drinks or something off their signature botanical inspired cocktail list like the Ginger Gimlet with ginger infused gin with kafir leaf. Choti and Debby, the brains behind trendy Vesper drew inspiration from their time in London, then teamed up with one of Bangkok’s hottest Italian Chefs, Luca Appino to bring to the table refreshing and traditional Italian dishes alongside a world class cocktail menu. 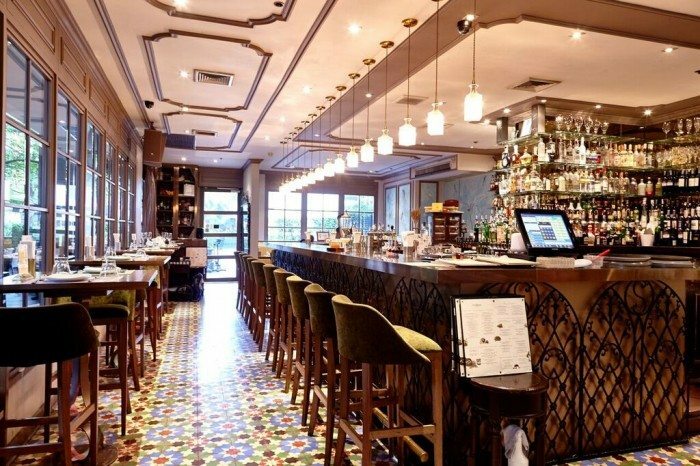 Vesper Bar & Resturant, Bangkok– 10/15 Convent Road, Silom, Bangkok. Open 7 days. Q&A is tucked away down an alley, just like all the best things in Thailand are. 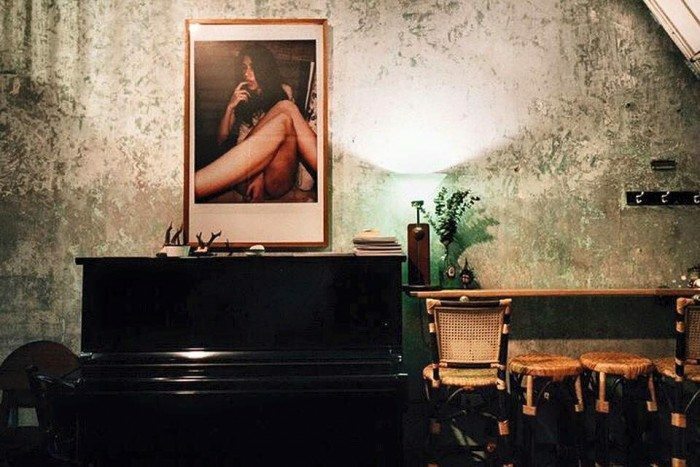 Coming in at number 26 on Asia’s 50 Best Bars 2016 list, this exclusive speakeasy wants to make sure you “get drunk with self control”. Now you know you’re in a classy joint. Signature cocktails are their speciality, although they do the classics superbly as well. Make a reservation before showing up otherwise you might be left disappointed. Already extremely popular since its opening in September 2015, loyal Q&A drinkers are unlikely to disperse now that the Asia’s 50 Best Bars 2016 list is out. Ps. There’s no food here, they’d rather concentrate their efforts on what they do well. It’s probably a good idea to eat beforehand if you want to stick to the “get drunk with self control” rule. Q&A Bar, Bangkok– 235/13 Soi Sukhumvit 21, Khlong Toei Nuea, Bangkok, Thailand. Closed Sundays. Hyde and Seek rounded out Asia’s 50 Best Bars with its extensive and creative cocktails and magnetic atmosphere. 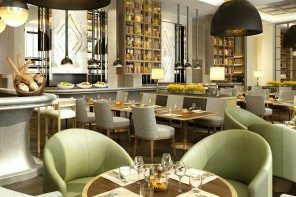 Not only do they deliver some of the best cocktails in Bangkok but they also offer a diverse dinner menu of fresh seasonal Gastropub grub. A fusion of the London x New York dining scene, the burgers and cocktails here are raved about. The hardest part of your evening will be deciding which concoction on the 14 page cocktail list to sample first. 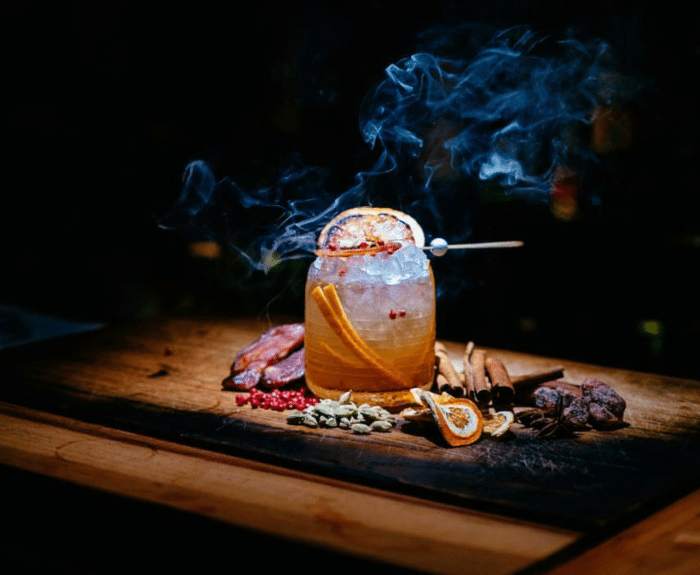 I’d start with one of their 3 award winning, Bangkok inspired cocktails like the Bang Coax (pictured at the top), Lure, or Sour Cowboy. Hyde and Seek, Bangkok– 65/1 Athenee Residence, Soi Ruamrudee, Bangkok Thailand. Open 7 days. Also check out their sister location Peek-a-Boo in Groove, Central World. Everyone loves a good mystery and there’s nothing more mysterious then J.Boroski. The address of this intimate spot used to be one of the industry’s best kept secrets and you won’t find any website, Instagram or official Facebook page for this underground haunt. If you’re lucky enough to find your way to the elusive J. Boroski don’t expect any menus. The talented mixologists here will create something specially for you. The dim lit bar and wood panelling all add to the sophistication and feeling of being part of a secret society. Be prepared to fork out some cash but it’ll all be worth it. Sukhumvit Soi 55, Thonglor (no exact address. That’s a well guarded secret but try sneaking around the alley next to Thonglor 7) Hint: Look for frosted glass windows. This sophisticated jazz and whisky bar is found inside Thailand’s most iconic hotel, Mandarin Oriental Bangkok. 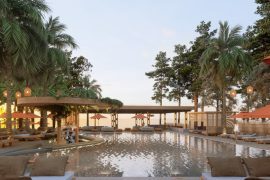 At The Bamboo Bar, you can settle in for an evening of award winning cocktails and top shelf whiskies with the sultry sound of live jazz washing over you. Up at the bar is where the magic happens with expert mixologists creating one of a kind cocktails which saw Bamboo Bar take out a spot on Asia’s 50 Best Bars 2016 list. Running April to June they have a menu of homemade macarons perfectly paired with signature cocktails created by head mixologist Khun “Ball” Sarawut. 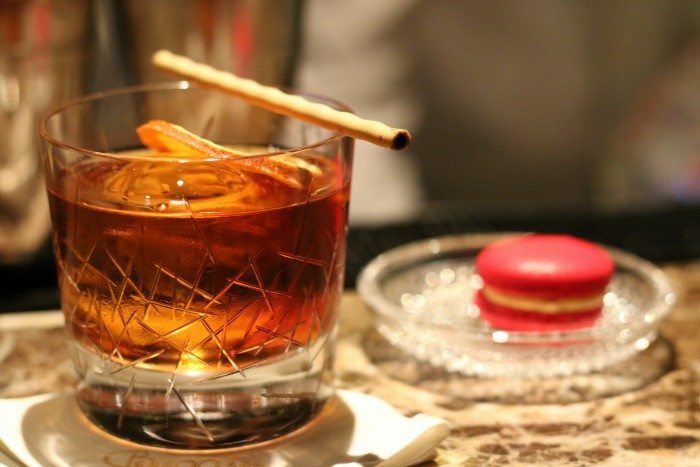 The whisky based Grande Finale with a Campari Macaroon is as impressive as it sounds (photo above). The Bamboo Bar, Mandarin Oriental, Bangkok– 48 Oriental Avenue, Bangkok. Open evenings from 5pm. Golffy Dhasan Prabhananda has worked with the who’s who of the F&B world from L.A. to Thailand, creating one of a kind drink menus and training bartenders at some of Thailand’s best restaurants and bars. Currently Golffy works as brand ambassador to Brand Connect Thailand. A big thanks to Golffy for the insider tips on where to get the best cocktails in Bangkok.